Ever wondered how our events get put together? Or what our ultimate hospitality experience would be? Well read on to find out more about what our Account Manager James Cambridge does on a day-to-day basis as we Meet The Team. I am the manager for one of our sales team, there are twelve of us in the team and I make sure that they are all motivated, selling and loving their job! What events would you say you enjoy selling the most? I enjoy selling all of them, but if I had to pick one, I particularly like selling the rugby. I also enjoy selling Royal Ascot packages, I have been there as a guest on a few occasions so I know it’s a special place to do hospitality and I think it makes for a typically British summer event. What would you say is our most popular one? I would say it has to be the rugby, mainly because I don’t think anyone else compares with what we have to offer. Particularly The Green Room, as again, I have been to lots of hospitality suites around Twickenham and The Green Room is in a league of its own, because of the atmosphere and the amount of legends and celebrities in there. Out of all the events we have on offer, what one would you pick to experience hospitality at? I would have to pick something that I haven’t had the chance to experience yet, I would go with the British Grand Prix with the Drivers Lounge hospitality. Why would you go with the Drivers Lounge? 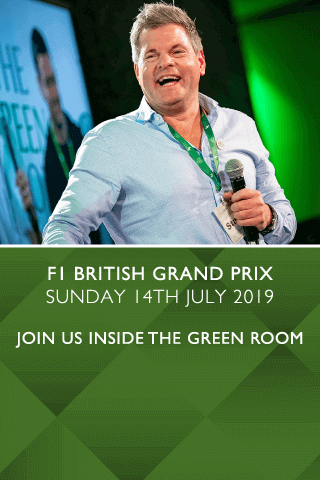 It always seems to be the popular option for Silverstone corporate packages, especially for Formula 1 VIP events, it has a lot of ex-racing drivers in there and it’s also a firm favourite with celebrities. You have been to a few events before, which would you say has been your favourite one? Probably football for the FIFA world cup in Germany, the hospitality and the atmosphere when you go away with the England team is a brilliant occasion. Do we have any new events that you are excited to sell to our VIP clients? Yes, definitely expanding The Green Room at Twickenham, as we all know it has been such a success and some of the games there are selling out over a year in advance. With it moving to Cheltenham I think it’s going to be brilliant, as anyone who has experienced this before will know, it’s a great suite. I also think the NFL is doing well over here it has become a really popular event. The full VIP exclusive travel packages like the one for the Monaco Grand Prix I think are brilliant, especially when you have the option of VIP hospitality on board a luxury yacht. Again, I would say The Green Room at Twickenham, rugby is one of the most popular events for all-round entertainment and I think when you get it right at a venue like Twickenham there is nothing else quite like it. What can our guests look forward to with The Green Room’s new home at Cheltenham? A lot of people that I speak to have been going to Cheltenham for years and they are always looking for a new experience. Usually you will get a guest celebrity tipster appearance, but with The Green Room being hosted by some big names from the jockey world I think it’s going to be very different. The atmosphere will be great and you can expect some celebrity appearances, so guests will really get the feeling that they are somewhere special.